A manager must be supportive of a change before he or she can successfully lead direct reports through the change process. This means that managers and supervisors have sufficient awareness and desire around the change itself before they begin engaging their direct reports. To achieve this, the change management plan must have specific elements aimed at building support with managers and supervisors. “Leading change” is a personal competency that managers and supervisors can build. And, the competency is not necessarily natural. It takes a particular set of skills to lead a group of employees through a change process. Many times, there are great managers who struggle in times of change. Appreciating “leading change” as a unique personal competency and working to build that competency in managers and supervisors is a critical step, and one that is often overlooked. Managers and supervisors not only need competencies in leading change, they need tools to help them help their people in times of change. Many times, the tools needed to manage change are different than the normal tools managers are familiar with using. One of the most important tools you can provide to managers and supervisors is a model for understanding the human reaction to change. Managers and supervisors will need support when taking on the role of "leader of change". Some of the tasks and responsibilities that come with being a good coach of employees through change are difficult. In many instances, this is a completely new undertaking for a manager or supervisor. You need to provide outlets and opportunities for support when managers are leading change. One area of support necessary will be helping them implement the processes and tools you have provided for leading change. Opportunities to try out new approaches for identifying resistance in a safe setting can go a long way in helping managers and supervisors to be successful. Lean Tip #995 - Foster Creative Learning Processes. Often, employees want to make suggestions about the way things are done but don't have a way to voice their ideas. Develop a method that makes it easier for staffers to share their creative ideas or suggestions with top management. Stretch assignments are growth-oriented exercises with some inherent risk. They’re designed to push participants past their skill level. Even failure offers valuable lessons that can add new skills, improve confidence and solidify employee commitment. You want to give participants first-hand experience in many different roles throughout your company. They’ll gain exposure to different divisions and gain new expertise. As a leader, you set the example for how your entire team communicates. Communicate openly, honestly, clearly, and with the commitment to address the greater good of your business and those on your team will communicate the same way. A quarterback needs his receivers. A pitcher needs his fielders. Even a golfer needs her caddy. Studies have shown that groups of people working together produce significantly greater results than people working independently. As a leader, you need to not just build a great team, but also get your team actively into the game. Share your vision. Involve others in solving problems. And delegate responsibilities that allow everyone to contribute to the success of the organization. As a leader you need to inspire your employees to do more. To improve their behavior, develop their skills and talents, work better and harder and achieve great results. Successful leaders understand the importance of influential leadership and how it impacts employee engagement. Every organization has problems. The key is to notice the problems, without dwelling on the negative. When someone spots a problem, bring your team together to brainstorm solutions. Point out how you can make changes to make your business stronger and more successful. And most importantly, don't shoot the messenger. Recognize and show appreciation for people who bring problems to your attention. 1000 Tips shared over 5 years, a milestone worth noting. Due to it's popularity I think we shall continue. Collaboration tools compel organizations to become less hierarchical in how they distribute information. This open communication style allows employees more insight into what is going on and helps them feel they are part of the business. Those that don't adapt to this new way of communicating, which tends to facilitate more transparency and quicker decisions, will be left behind. Companies expend lots of effort vetting collaboration tools and yet too often end up disappointed in their performance. Technology can be a great tool for facilitating collaboration, but company culture and management initiative are still the engine that drives it, especially at the beginning. Many changes are necessary in workflow and communication style that are frequently not comfortable for employees to accept. Priming the company to adapt to these changes is a key factor in facilitating a successful collaboration initiative. Lean Tip #1003 - Simplicity is Key for Productive Collaboration. The collaboration method must make our jobs more efficient, not create more cycles of work. A discussion board can often help get the dialogue moving among a large team, but in some instances it is necessary to pull the discussion away to a smaller group for a final result. The more complicated a goal is, the more room for interpretation and extrapolation. Go the extra mile to make your goals simple and concrete. Outcome-oriented goals focus on results rather than just products and can provide greater clarity and focus. Lean Tip #1005 - Discuss How the Team’s Goals Tie into the Organization’s. By linking a team’s or project’s goals to larger company goals you can find inspiration and a higher sense of purpose. Everyone on the team will feel they are playing a meaningful role. 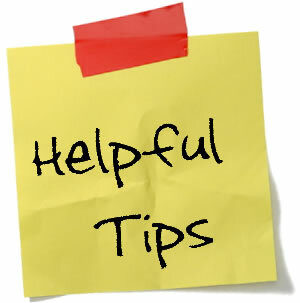 Really very helpful tips.thank you for sharing.